VESSEL The vessel is the result of the plasma welding, without addition of weld material, along the circumference of 2 bowls obtained by sheet drawing. The Keg vessels have 2 ribs which make them stronger and easier to roll. UPPER SKIRT The upper skirt has handles to allow a safe grip for shifting. LOWER SKIRT.The upper and lower skirts are welded to the vessel by MIG welding. 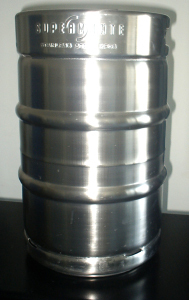 Supermonte Group is an industrial engineering and manufacturer of beer kegs in stainless steel containers for wine and oil food applications. 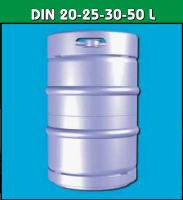 Made in Italy tradition for engineering products, Italian storage tanks design, stainless steel barrel suppliers, Italian oil food certified tanks, wineries storage design suppliers, Italian kegs products manufacturing. Stainless steel manufacturing, US barrel vendors and suppliers only from Italy. 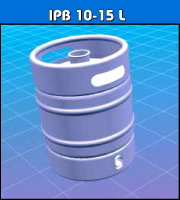 Containers kegs producs Made in Italy to California, Texas, New York Florida Illinois, Atlanta in the USA, Canada, Australia, Japan, China food industry, Korea, Australia, Chile, Argentina, Brazil, Uruguay, Colombia, Ecuador, Perù, Belgium, Saudi Arabia, Oman, Dubai, China, Thailand, Japan, Australia, Austria, Finland, Germany, France, England, Kuwait, Saudi Arabia, Dubai, Oman, UAE, Brazil, Mexico, Chile, Uruguay, Japan, England, Russia Scotland, Italy, Ireland, Norway, Russia, Canada, Japan Korea, Kuwait, China, Japan Australia, China, Germany, Saudi Arabia, UAE, Oman, Dubai, Bahrain, Russia, Denmark, Norway, Bahrain, New Zealand, Holland, Spain, Scotland, Sweden... and engineering products. 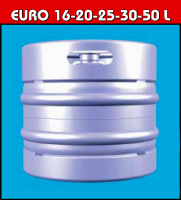 SUPERMONTE GROUP "THE ITALIAN STAINLESS STEEL BEER KEGS MANUFACTURING SUPPLIERS INDUSTRY"
Copyright (c) 2011 - 2019 Supermonte Group Italy, Inc.. All Rights Worldwide Fully Reserved.